Good job Batman! Where's Robin? Good job man. But I think it's kind of dangerous to be that close to a highway while wearing a mask that inhibits eyesight and hearing. LUKE, Pick up that Garbage u just threw on the road! 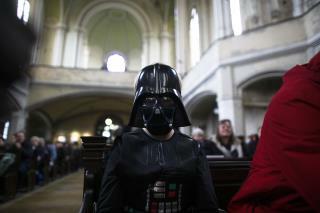 I am your FATHER ya know! There ya go ALL!